Are you getting married this winter? You probably have everything perfectly planned, but have you stopped to consider how outrageously cold it may be? Lucky groom and groomsmen in their tux...but you may need to get a little more creative! Here are 5 simple options you may want to consider adding to your wedding day wardrobe. 1. 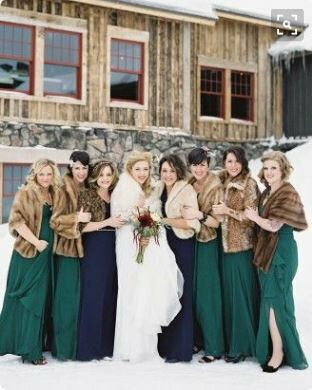 A fur (or faux) shrug or stole will keep you toasty as you are hustling between pictures, the ceremony and the reception. Tip: If you are wearing your hair down, static cling may undo hours of your hairdresser's hard work. Simply spritz water onto your ends as well as the fur to prevent static. Purchase from crafters and seamstresses on Etsy! 2. 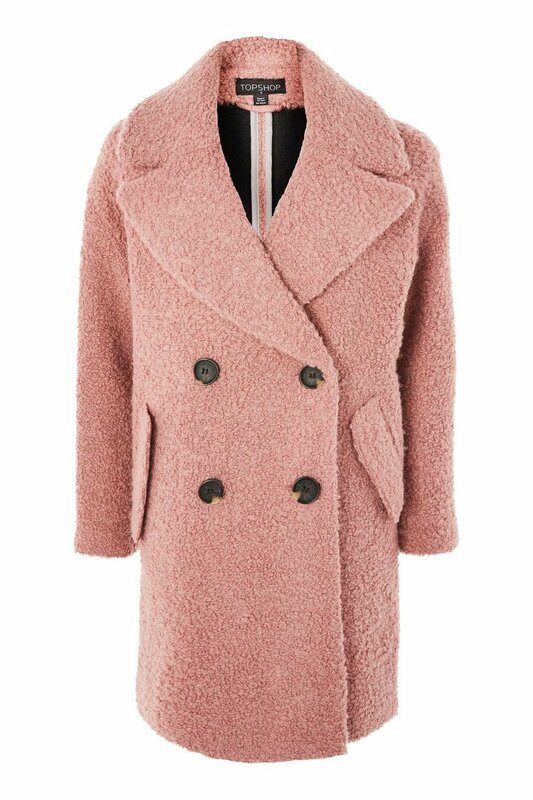 A textured overcoat in cream, tan or blush will bundle you up as you parade from one venue to the other. The two best things about this jacket? Pockets to keep your hands warm, and it's so stylish and versatile that you just might wear it again! 3. A formal, knee-length coat. This jacket is bound to be elegant and timeless, especially with these metallic accents, and photograph very nicely in the snow. 4. A leather jacket will spice up your wedding day wardrobe. Whether your style is rock and roll, rustic, classic or modern, the way that you style the leather jacket can be varied to meet your personality and taste. 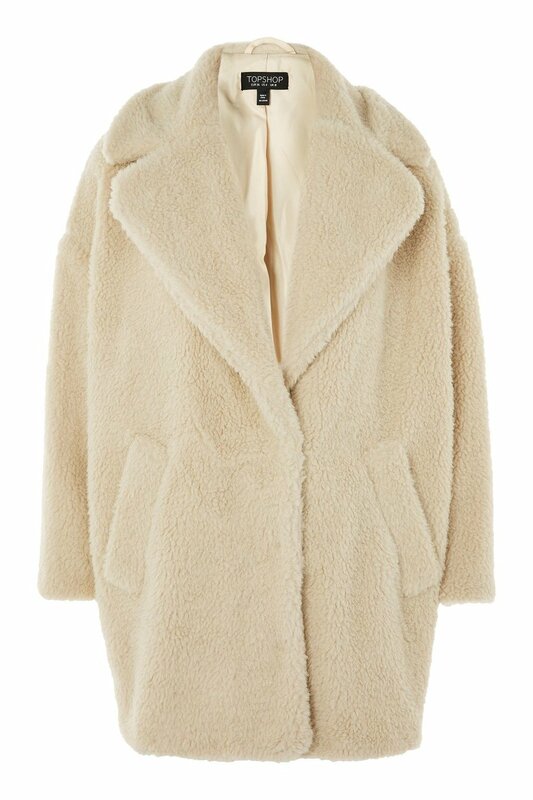 A fur collar, embroidery or white leather are ways to differentiate your jacket. 5. 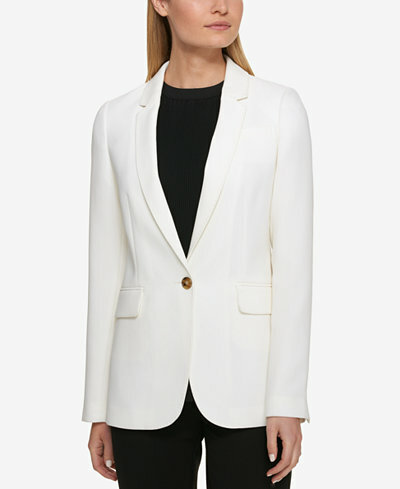 A blazer is a powerful yet elegant touch to throw on over your wedding dress to stay warm. Black, white, blush, patterned, velvet, satin. The options for shape and style are limitless.